This Swarovski Rivoli component is the perfect way to showcase the signature Swarovski sparkle in a special way. This Rivoli is very versatile and offers many options in beading and embellishment. Use our high-quality Japanese TOHO Seed Beads to make a beaded bezel around this Swarovski crystal Rivoli. This Rivoli rhinestone is gloriously faceted with 16 facets coming together to form a point on the face of the rhinestone. The back also forms a point. This crystal features a versatile clear color full of brilliance. Shop settings for 12mm Rivolis here. Add delicate sparkle to your looks with the Swarovski 27004 Rhodium-Plated Cup Chain with 1028 PP11 XILION Crystals. This breathtaking chain features bright silver pronged settings holding brilliantly clear crystals. Each one captures the light in a mesmerizing way. The chain is flexible and light, so you can wear it comfortably and it will move with you. The settings on this chain hold small crystals, perfect for creating thin bracelets or using in multi-strand looks. It works with the Swarovski 00011 Rhodium-Plated Foldover Crimp End. These Swarovski crystal disc-shaped beads feature curved edges for a beautiful twisted appearance. An intricate zebra motif pattern on one side displays bold black and white stripes, providing lovely contrast and texture. This 14mm bead can be incorporated into all kinds of jewelry designs, including as a focal piece in an eye-catching necklace. Dangle them from earrings, too. To create a timeless fashion, string them together with red accents for a dramatic result. Space out beads with the help of the Swarovski 77512 rhodium-plated rondelle with Crystal AB crystals. This bead features a classic rondelle shape made up of a ring of clear Swarovski crystals with an iridescent gleam. This bead would make an excellent spacer. It features a wide stringing hole, so you can use it with thicker stringing materials. 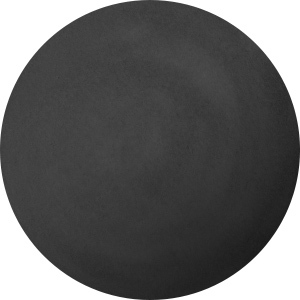 This rondelle would make an excellent contrast with solid shades of black and would brighten up any other color palette, too. Add an eye-catching look to your designs with the Swarovski 2088 SS34 XIRIUS rose Flatback in Crystal. The celestial-inspired XIRIUS cut uses an innovative and unique multilayer cut, for a look full of brilliance. This Flatback will add exceptional sparkle and light refraction to all of your projects. It's perfect for a dazzling display in your designs. Use it to decorate jewelry, accessories, home decor and more. This Flatback displays a clear color full of brilliant sparkle. This Bicone from Swarovski is made from clear crystal cut with 12 upgraded facets for maximum sparkle and brilliance. This lovely Austrian crystal bead also features an iridescent finish that adds a touch of color. Beads this size work well as spacers or mixed with other beads to create delicate strands. You can use this lovely bead in your next design. Keep your looks sparkling with the Swarovski 27104 rhodium-plated cup chain with 1088 PP14 XIRIUS crystals. This amazing chain is decorated with high-quality Austrian crystals, each one sparkling beautifully. These crystals are made even more amazing in their professional and stunning bright silver pronged settings. The chain is flexible and light, so you can wear it comfortably and it will move with you. Use this delicate chain as an accent in multi-strand looks. It works with the Swarovski 00594 Rhodium-Plated Spring Ring Foldover Crimp End. Create captivating style with this Swarovski crystal faceted round. Displaying a classic round shape and multiple facets, this bead can be added to any project for a burst of sparkle. The simple yet elegant style makes this bead an excellent supply to have on hand, because you can use it nearly anywhere. This bead is the perfect size for matching necklaces and bracelets. It features clear color with an iridescent gleam that adds rainbow tones. Put classic sparkle in your designs with the Swarovski 5041 12mm Briolette large-hole bead in Crystal. This crystal bead features a large hole, making them perfect for thicker wires and stringing materials. This thin roundel can be used as accents in your beaded jewelry designs or can be strung together for a captivating effect. This bead displays a brilliantly clear color that sparkles magnificently from every angle. This sweet and delicate Swarovski Baguette cross is the perfect addition to your Christian jewelry designs. Make thoughtful gifts for Christmas, first communion, or other religious events. Add it to cell phones or handbags for a bit of sparkle. This small focal point will work in a variety of projects. The Baguette cut of the Austrian crystal is a delicate, subtle way to add shimmer without being over the top. Accent your designs with this Swarovski rondelle with crystals. This transparent colored plastic bead from Swarovski features a hexagonal shape with an indented star shape in its middle. The stringing hole is located in the center of the star design. The edges are encrusted with dazzling clear crystals that sparkle brilliantly. This small bead makes for a great spacer in between pearls because it adds a dash of glitter to elegant designs. This bead is the perfect way to add more Swarovski sparkle to your designs. Create a glittering display with the Swarovski 2088 SS20 XIRIUS rose Flatback in Crystal. The celestial-inspired XIRIUS cut uses an innovative and unique multilayer cut, for a look full of brilliance. This Flatback will add exceptional sparkle and light refraction to all of your projects. It's perfect for a dazzling display in your designs. Use it to decorate jewelry, accessories, home decor and more. This Flatback features a brilliantly clear color that will work anywhere. Make sure you're ready for every project with the Swarovski 2078 XIRIUS Flatback Hotfix SS16 Crystal AB factory pack. The celestial-inspired XIRIUS cut uses an innovative and unique multilayer cut, for a look full of brilliance. These Flatbacks will add exceptional sparkle and light refraction to all of your projects. They're perfect for a dazzling display in your designs. Hotfix Flatbacks already have adhesive attached to their backing and are heat activated, so they are easy to add to designs. These crystals feature a clear color with an iridescent finish. This sealed factory-direct pack includes 1440 pieces. Let luxurious style accent your designs using the Swarovski 1122 SS39 Rivoli in Crystal. The Rivoli shape resembles the point cut of a diamond with the addition of 16 facets in a circle that meet in the center of the stone. The foiled backing blocks light from going through the crystal, allowing for brilliant light reflection. Use this component for embellishment or as a stunning focal. This versatile Rivoli features a striking clear color full of versatility. Shop settings for SS39 stones here. Design jewelry with eye-catching sparkle using this 4mm Swarovski Crystal Bicone. This transparent crystal bicone bead is a jewelry-maker's staple, featuring twelve alternating XILION-cut facets that reflect light with incredible brilliance. Try combining these beads with sterling silver and freshwater pearls to create a beautiful bracelet or necklace with vintage charm. With the classic Rivoli faceting and a horizontally drilled hole in the back of this Swarovski crystal button, this little gem will make a wonderful clasp or focal piece. String it on a head pin and incorporate it into your earring designs. Embellish your next craft or sewing project with this lovely little button. 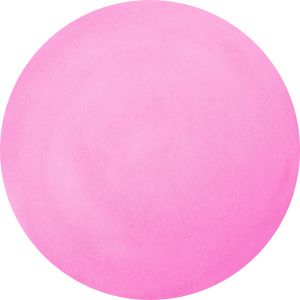 This bold button features a stunning transparent color, perfect for adding sparkle to almost any color palette. Sophistication fills the Swarovski 5045 4mm rondelle bead in Crystal AB. This rounded bead features a uniquely elegant cut that merges round and angular elements. This perfectly faceted masterpiece fuses a classic shape with a contemporary cut for a multitude of applications. Use it as a spacer, add it to earrings and more. This small bead makes a great spacer. It features an iridescent gleam. Add delightful sparkle to your style with this Swarovski Briolette bead. This bead features a classic roundel shape covered in precisely cut diamond-shaped facets. Each facet catches the light and exudes sparkle and brilliance. Add it to any design to catch everyone's eye. This bead is the perfect size for matching necklace and bracelet sets. You can even use it in earrings. It features a clear color with an iridescent finish that adds rainbow tones. For a sophisticated look, try the Swarovski 5045 6mm rondelle bead in Crystal AB. This rounded bead features a uniquely elegant cut that merges round and angular elements. This perfectly faceted masterpiece fuses a classic shape with a contemporary cut for a multitude of applications. Use it as a spacer, add it to earrings and more. This bead is versatile in size, so use it anywhere. It features a magical iridescent shine. Present your looks with amazing sparkle when you use this Swarovski 8mm mini square bead in Crystal AB. Its geometric shape features precise-cut facets that shimmer brilliant in the light, and its size is ideal for any type of jewelry design. This Crystal AB color will bring an elegant clear shine and rainbow shine to your next idea. The mini square is perfect for stringing and makes a great spacer. Give your designs a dazzling look with this Swarovski teardrop bead. This faceted teardrop bead from Swarovski is the perfect accent for your beaded jewelry creations. The elegant drop shape will complement any style. Dangle it from a head pin for a unique charm, or string it into your beaded projects. The gorgeous faceting will catch the light and glitter wonderfully. 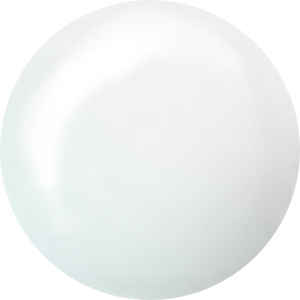 This bead features a brilliant clear color. Let luxurious style accent your designs using the Swarovski 1122 SS39 Rivoli in Crystal AB. The Rivoli shape resembles the point cut of a diamond with the addition of 16 facets in a circle that meet in the center of the stone. The foiled backing blocks light from going through the crystal, allowing for brilliant light reflection. Use this component for embellishment or as a stunning focal. This versatile Rivoli features clear coloring with an iridescent finish. Shop settings for SS39 stones here.